The skincare industry is one that constantly evolves. Soap and water used to be enough to wash away the grime from the day, but many skincare routines now encompass cleansers, toners, moisturisers, serums, exfoliators, primers, and face masks. And that’s just the tip of the skincare iceberg. With developments in technology and new research in the ingredients we use, the skincare industry is nothing like it used to be, yet nowhere near where it’s going. 2018 is set to be an exciting year for skincare and if you’re invested in the quality of your skincare products, here are our top trends to look out for in 2018. Natural skincare is not a new trend. What is new, however, is that as consumers become more conscious about what they put on their skin, they’re also more informed about what ‘natural’ actually means. Yes, the terms ‘natural’, ‘naturally-derived’, and ‘all-natural’ have been used for a long time but recent research has revealed that natural ingredients are often processed with chemicals but still labelled as any of the above due to a combination of lax regulations and clever marketing tactics. Dig a little deeper into your ‘natural’ product and, unless you’re using Biologi, you’ll find that the natural part is only the smallest ingredient in a myriad of chemicals, parabens, and emulsifiers. The value of the natural beauty market is expected to reach $13.2 billion by 2018 and this year, more than ever, the consumer is set to seek products that offer safe and natural ingredients that meet their needs without using harmful chemicals that pose a toxic threat. Canada and the European Union have banned more than 1,300 cosmetic ingredients in recent years showing a very definite upward trend that, as a whole, we’re paying more attention to what we use in our skincare. As a holistic approach to health and wellbeing is growing in trend, along with what we put in our bodies, we’re also conscious of the topical ingredients we put on our bodies. Biologi is the first and only product on the market that is made from pure plant with absolutely ZERO chemical additives. Ethical products are not only those with minimal use of harmful chemicals but also those that are cruelty-free and environmentally-friendly. In 2018, consumers will become much more aware of where their products come from and how they’re made. As a shift in environmental awareness occurs, the consumer also wants to know that they’re contributing to the longevity of the planet. This doesn’t just apply to the product itself. It applies to the manufacturing process, packaging, and all equipment used to get your product from its natural source onto your bathroom shelf. Biologi is the only skincare producer in the world with full control over the entire production process from raw material procurement to extraction and bottling. Our product is traceable every step of the way and we’re happy to share that with you. Here are some natural ingredients which you’ll see more of on products labels this year, but remember, the lower down the list this appears, the less ‘natural’ the product. Kakadu Plum has the highest recorded levels of Vitamin C of any fruit in the world, measuring up to 75 times the Vitamin C content found in an orange. Kakadu Plums are rich in phytochemicals which have anti-carcinogenic, anti-fungal, anti-viral and anti-inflammatory properties. When used in a serum or moisturiser, the Kakadu Plum is also working to detoxify and flush out toxins. Quandong is a berry which contains an abundance of nutrients. It also contains high anti-oxidant properties and, along with Kakadu Plum, has the strongest melanogenesis properties out of all of the plant extracts that we have access to in Australia. Quandong stops melanogenesis which stops your skin from producing unwanted pigment such as sun spots and freckles. Organic cucumber seed oil is a hydrating oil with high concentration of vitamins E and A, both of which are extremely beneficial when applied topically to treat skin conditions such as sunburn, eczema, acne, and psoriasis. Cucumber seed oil contains high levels of phytosterols which protect against free radical damage caused by the environment and strengthens lipids to defy the signs of aging. Look out for organic cucumber seed oil in 2018, apart from all the benefits for your skin, the natural extraction smells amazing without the addition of any synthetic aromas or chemicals that make your regular products smell nice. Marula seed oil is another oil abundant in vitamins E and A in oil form making it easy to apply to your whole body, including your hair. As a light oil, marula seed oil is easily absorbed and doesn’t leave a greasy residue. 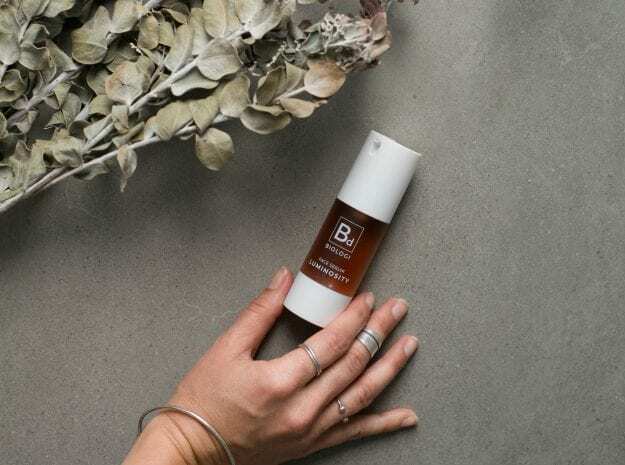 Marula oil contains an abundance of essential amino acids which protect against free radical damage to reverse the signs of aging and offer protection against future lines and wrinkles. Marula seed oil can be used on your face, body, hands, and hair and it’s the versatile nature of this natural extraction that makes this hydrating oil one to watch in 2018. Yellow nutsedge oil (or tigernut oil as it may be written on ingredients labels) has been used as a healthier alternative to olive oil for over 4,000 years. While it has been proven to reduce cholesterol when consumed orally, yellow nutsedge oil is becoming increasingly popular as an ingredient in skincare products because of its high vitamin E concentration. Vitamin E boosts collagen production, hydrates dry skin, reduces the damage caused by free radicals, and reduces the effects of sunburn. Not only that, it’s anti-oxidant properties keep skin supple while healing your body from the inside out. The votes are in and according to the experts at Biologi, 2018 is going to be a big year in skincare with some very definite trends taking the market by storm. Watch this space!